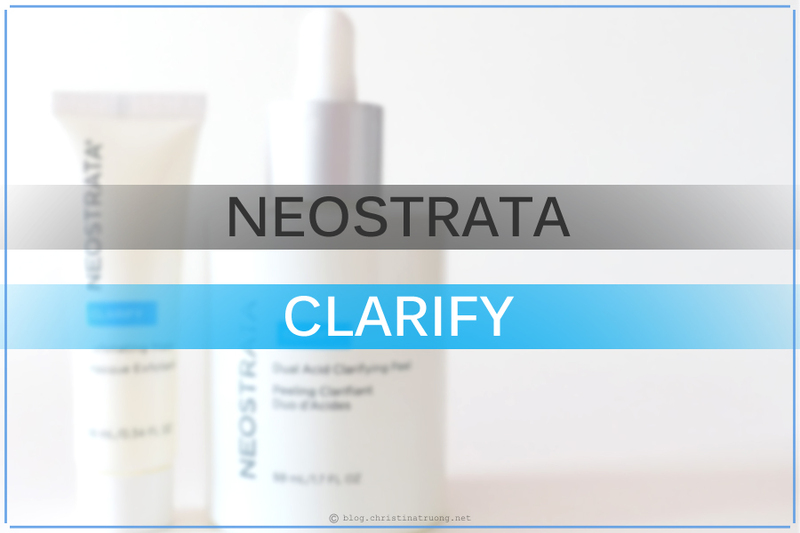 NEOSTRATA Clarify is a targeted collection of products for troubled skin types, such as oily and acne-prone. It contains a high-strength acne treatment solution to help clear clogged pores, reduce blemishes and target skin oiliness. They utilize the exfoliation power of Glycolic and Mandelic Acids, along with NeoGlucosamine, to help clarify surface texture for smoother and healthy skin. This potent dual-action peel features the skin smoothing action of a chemical peel utilizing an exfoliating complex of 10% Glycolic Acid and 10% Polyhydroxy Acid (PHA) to target maximum clarifying results. Formulated to reduce the appearance of pores and a refining treatment for dull skin. Can be used 1-3 times weekly in the evening on face, neck, and décolletage. Apply on clean, dry skin using a cotton pad; avoid eye area and lips. Leave on for 15-20 minutes as tolerated and rinse with water. Sensitive skin may experience temporary tingling or redness. Follow application with a moisturizer. The Dual Acid Clarifying Peel comes in a dropper and the product feels like a serum. I added about 5 drops onto a cotton pad and applied it on my face. When I first applied the product, I thought it would irritate my skin but luckily I didn't feel any stinging. That being said, my face did feel a bit drying after leaving it on for 10 minutes. After rinsing the product off and applying moisturizer, my skin felt very cleansed and smooth. By the morning, my skin definitely felt extra smooth, glowy and no redness occurred. Even just after a few uses, I have noticed a difference in the way my skin looks and feels. This mask targets the needs of oily-prone skin, with 8% NeoGlucosamine, a gentle yet effective exfoliator known to help minimize the appearance of pores and improve skin complexion and clarity. This high strength formula is designed to even the appearance of post-blemish discoloration. Apply an even layer on clean skin without rubbing in. Wait 5-10 minutes while the product penetrates. Once product feels absorbed, layer with a moisturizer; keep mask on overnight and rinse with water in the morning. The Exfoliating Mask has a gel-like consistency. After applying the mask, my skin felt a tad bit dry but smooth on the surface once it absorbed. I had to add a layer of moisturizer in order for my skin to feel comfortable. In the morning, I woke up to my skin feeling smooth and clear. It didn't leave my face feeling irritating or cause any redness and with a couple of uses I noticed my pores were minimized. What are your thoughts on NEOSTRATA Clarify? Have you tried NEOSTRATA? Disclaimer: Products complimentary from Influenster for review purposes. Views expressed are honest and of my own.